Awards Galore! - A Rose Is A Rose Is A Rose! Awards Night Postponed Friday’s 55 Fiction : Far From Perfect Or Perfect From Far? Nothing is as sweet as getting a pat on the back from your fellow blogger friends. And over the last few days, I had the honor of receiving some of them!! “Thank you! Oh! Thank you! I can hardly believe this! I feel so blessed! And these Statues & Trophies Award Picture Files- they are so heavy! Oh, thank you again! I just want everyone to secretly suspect that even in my wildest hallucinations; I never would have fantasized that this could ever happen to me. You know when they first told me (in my comment box) that there is a surprise for me on their blog, I just had to take a minute and think about how generous my FBs have been. I guess it all just makes me feel kinda numb!! First off though, I want to thank the Fellow Bloggers in the Blogosphere, who looked deep within their hearts before giving me these fantastic awards! Also, I want to thank God, for being such a powerful force in my life. And to Mom & Dad, who taught me to take life by the horns. And to KG and AG, for being the guinea pigs in most of my posts! 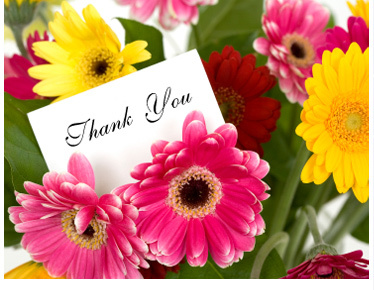 And finally, to all the readers – I couldn’t have done it without you! In lieu of that, I share my happiness awards with my Friends from the Blogosphere!! This award was bestowed upon me by Shruti! Thank you girlie for believing so!! Each Superior Scribbler must in turn pass The Award on to five most deserving blog friends. 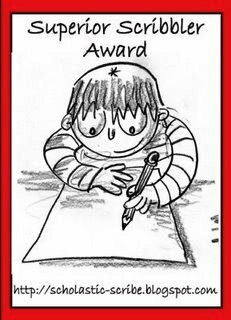 Each Superior Scribbler must link to the author and the name of the blog from whom he/she has received The Award. Each Superior Scribbler must display The Award on his/her blog and link to the original post at The Scholastic Scribe which explains The Award. Each blogger who wins The Superior Scribbler Award must visit the original post at The Scholastic Scribe and add his/her name to the Mr. Linky List. That way, we’ll be able to keep up-to-date on everyone who wins This Prestigious Honor. Each Superior Scribbler must post these rules to his/her blog. Pass the award to other blogs that you’ve newly discovered. 3. The Third Award for the day is the wonderful feel good award! This was shared by Avada! 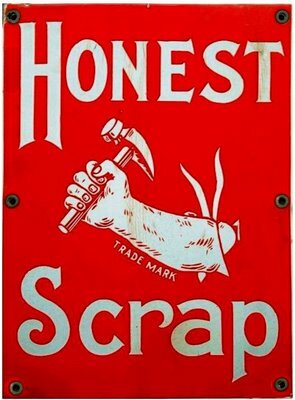 “Honest Scrap” Award, is given by bloggers to other bloggers who express themselves and write/blog from their heart & soul. Pass the award on to 7 bloggers who you feel embody the spirit of the Honest Scrap and whose blogs you find brilliant in design and content. This award was given to me by the young and talented Shilpa Sharma. And to me, this was said by Dhiman! Add a link to the person who awarded it to you (as shown above). Copy the image above, the rules and the questionnaire in this post. Post this in one or all of your blogs. Answer the four questions following these Rules. Recruit at least seven (7) friends on your Blog Roll by sharing this with them. 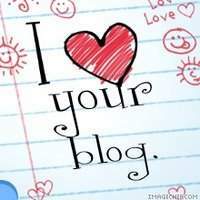 Come back to BLoGGiSTa iNFo CoRNeR (PLEASE DO NOT CHANGE THIS LINK) at http://bloggistame.blogspot.com and leave the URL of your Post in order for you/your Blog to be added to the Master List. This was awarded to me by Shankar. Pass this Stylish Blogger Award to those who are Stylish….Stylish in their thoughts and expression; Stylish by being different!! You may share your choice of Stylish Blogger’s unique appealing style too! Rest of the rules are the usual…copy and paste the award on your blog with links and inform your winners! 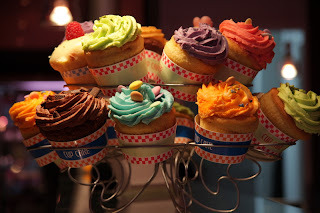 Please join me for the After Awards “Desserts Only” Party. Next post Friday’s 55 Fiction : Far From Perfect Or Perfect From Far? And thank you too for giving me this award. I will have some of that strawberry dessert thank you.. a big helping. And thanks for the lovely lovely award. You deserve all these, needless to say. And thanks for the desserts. They appear so yummy (tried to taste them. The dust on my computer screen did taste funny but not yummy, so I let the desserts be). BTW, These many award!! You must be one social butterfly. P.S. Thanks a ton for the Super Scribbler award. I am loving it already. Congrats for getting all those awards. And thanks for loving my blog and awarding it. It is my first award in blogging. I will always treasure this moment. First of all CONGRATULATIONS Shilpa on all the Awards you got! You deserve them all and many more! Third: Why there has to be a condition on that award? !And you haven’t done it!! It is not fair!! But I will accept it! (How can I Deny! ?I am too modest!! :-)) As a challenge! @ Neeraj: The pleasure is all mine!! That’s the true spirit of a blogger, Neeraj…looking for friends to pass it on…Already!! 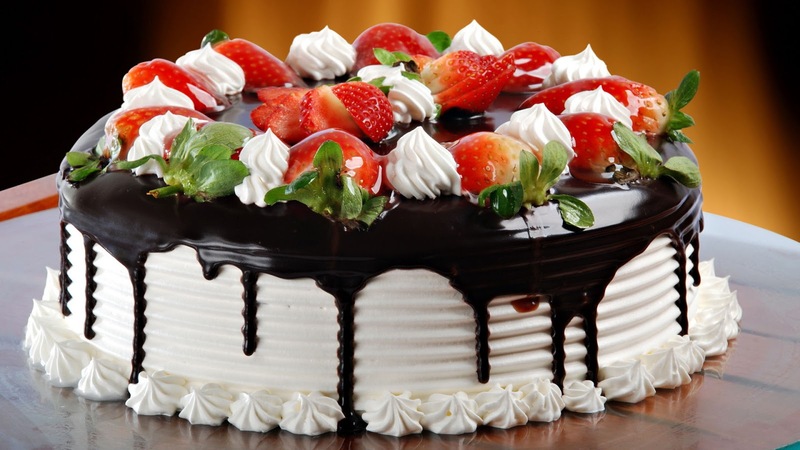 @ Paritosh: Yeah…Congratulations and Celebrations to you too!! @ Mr. Pramathesh™ Borkotoky: Wow! Congrats for your First award. May this be a beginning of loads to come your way!! I gotta award frm SHILPA!! @ Pra: Thank you Pra!! The pleasure is all mine, to share this award with you!! Regarding the condition of 10 Honest things…well I searched the rules for this award on the web and this was a part of the rules, so I incorporated them in my post. But when I received this award, these ’10 Honest things about me’ were not asked by my host! So I couldn’t do them!! But you must do them!! 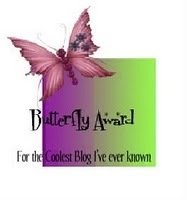 There is yet another award for you in my blog. Shilpa,thank you very much for the lovely award. I appreciate the jury’s decision and thank all those who supported me. Cheery congrats to you for all the well deserved stream of Awards that’s come your way. I loved your post, about thanking those who’ve added so much value to our overall growth and happiness. Once again, CONGRATULATIONS. Secondly, thank you so very much for bestowing the award to me! That means a lot to me and I see each Award as God’s beautiful gifts. Getting this award from you is such an honor. I really don’t have words to express my joy and gratitude. May God bless you and your loved ones with lots of vision, conviction and confidence to pursue your dreams and beliefs. That’s my prayer for you. All the best, and once again, thank you. Wow. Congrats and thank you! Congratulations on your multiple awards. Hei! where’s my fav tiramissu dessert; missing huh ??!! @ BK Chowla: It was my pleasure, Mr Chowla!! 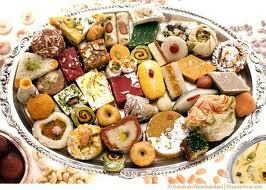 @ Swapana Raghu Sanand: Hi! Many thanks for such nice and kind words and wishes!! And hearty congratulations for your award!! And you have an amazing blog!I love your expression!! I’m thrilled for you. Your blog is wonderfully special.. So are you. Though I’m yet to read all your posts, I’m sure you truly deserve them all!! .. and many more in the future 😉 Congratulations lady! Your beautiful and poignant expression deserves many many awards!! Keep blogging! I am an infant in this blogsphere. Its so nice of you dear. with utmost honor & biotaxy..
Congratulations Shilpa,you truly deserve these awards.Thanks a lot from the bottom of my humble heart for liking my blog,it means a lot to me.As for the party …i am going to stay little longer than others…gotta taste all of them. Congrats shilpa and thanks a lot for considering me..Coming from u ,its really very special for me. i never expected this !! its really a surprise …i love it !! congrats to all winners !! Am glad you got a pleasant surprise! @ Roshmi: Congrats to you too! @ Kavita: Thanks a lot for such wonderful words!! I am touched! And you deserve this award and many more!! @ SweetNothings!!! : It was my pleasure, Navita! @ Musings..: Hi Mohammed!! That’s really cool! Did you try the Gajar ka Halwa?? Oh wow… i got a award…wu hu!!! So many awards exchanged here…wow..simply amazing! You know what..I have stopped counting how many awards you got..but what I know..there will be numerous more that would be coming. was that my name??.. Rahul Sharma..
should I say..THANK YOU VERY MUCH? should u be congratulated…4 those 7 awards? Congrats!!!…..Wow!!! heavens pouring awards here. You deserve each one of them. A big thank you to you for the award. Am so full of joy that i can hardly express. Thnx a lot.. bt why rn’t u blogging these days, i mean writing stff, nor r u visible in the comments section..
@ Shas: Thanks a lot dear and hearty congratulations to you too!! @ Vipul: Thanks a lot Vipul! Am glad that this award ceremony has brought many reasons to smile and cheer! Oh, yes! Loads of comments from everywhere on this inactivity on my blog! Hearty congratulations to you, Shilpa, on receiving this bunch of coveted awards from all over! This proves the degree of talent, the depth of thoughts, the height of buoyancy, the fervour for blogging and of course, the very art of socializing meaningfully & sincerely that has gone into on your way to becoming an adorable Star Blogger. Kudos to you, Shilpa! You deserve it all truly. 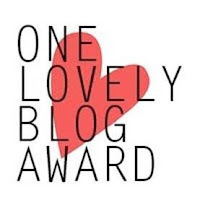 I reckon, it’s time for you to bask a bit in the glory of this rainbow of awards, but am sure, you are not the one to be doing so, for the avid blogger that you are. @ Shrinath Vashishtha: Hi Shrinath! You too are a prolific blogger, and a Superior Scribbler too! thanks u thank u thank u thank thank u thank u!!!! love it when u wonderful fbs still remeber me as an ex blogging activist!!! You have also introduced me to a set of bloggers I have not read. So, I am going to spend the entire long weekend just lazing around and reading blogs. Hah! @ Subhayan: It was my pleasure!! And we surely miss you on our blogs!! Have a great time, exploring new thoughts and expressions! congratulation, for awards. it was personal reason that I came very late to give you congratulation and to collect my award given by you to me. I am feeling hounoured. Thank you. it turned out to be male! Life’s not fair! Usage – The persons I’d like to gomit most of all are the lady indibloggers that I know! OH MY GOD!! This is the most wonderful and mostest beautiful words for my blog!! I am touched beyond words and kicking myself simultaneously about missing this post of yours on my blog! Btw, I just noticed… haven’t u collected the award from me till now… from here?